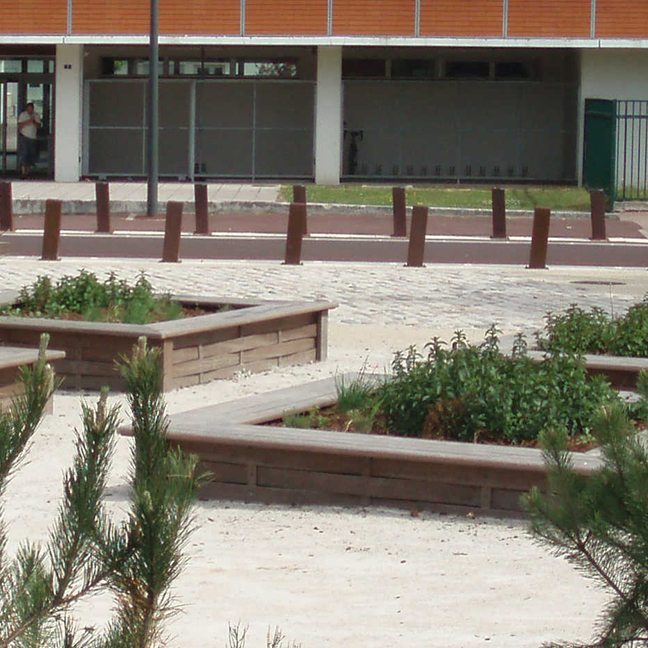 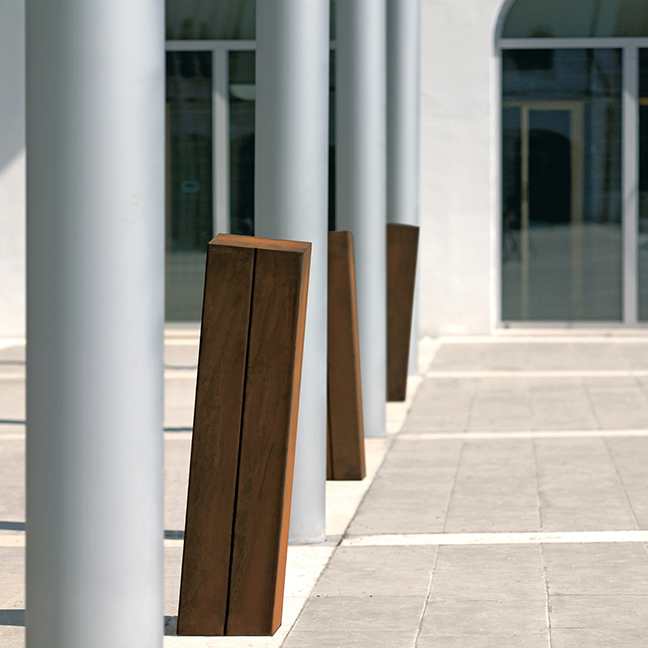 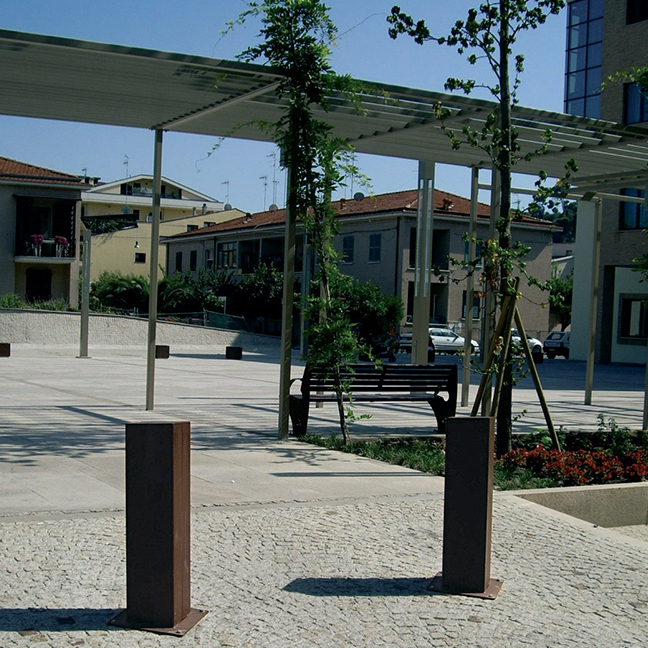 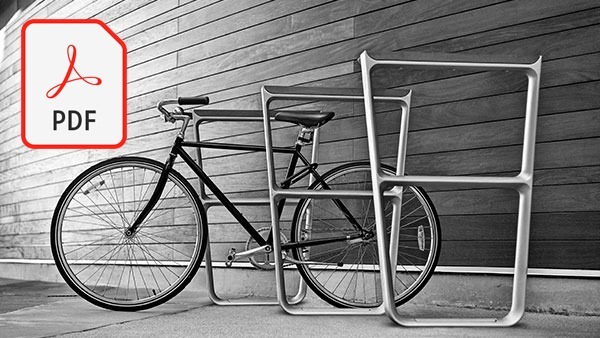 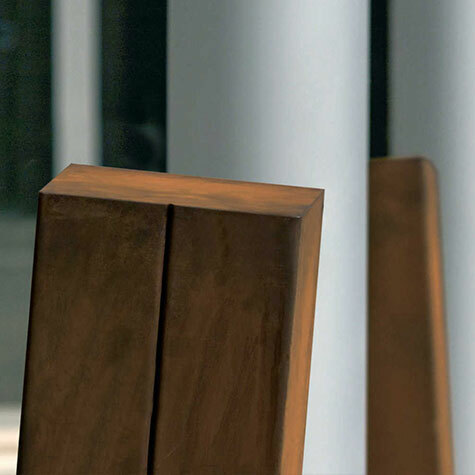 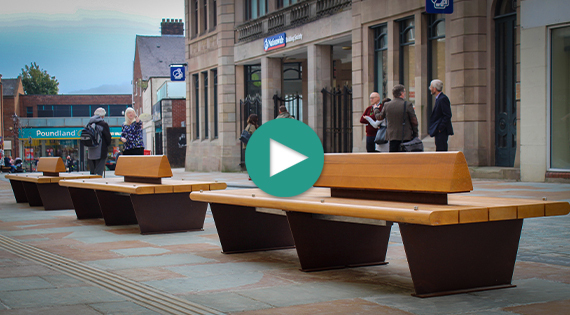 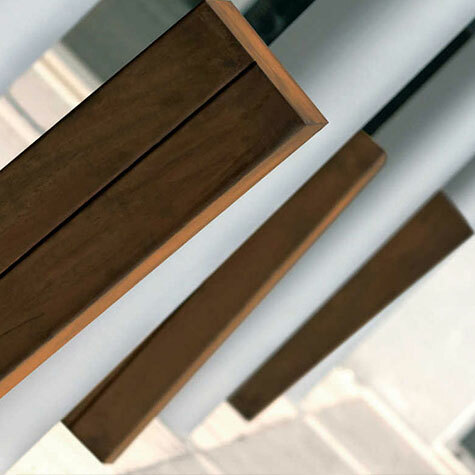 The Hesperia Bollard is made entirely out of 10mm thick corten steel sheet. 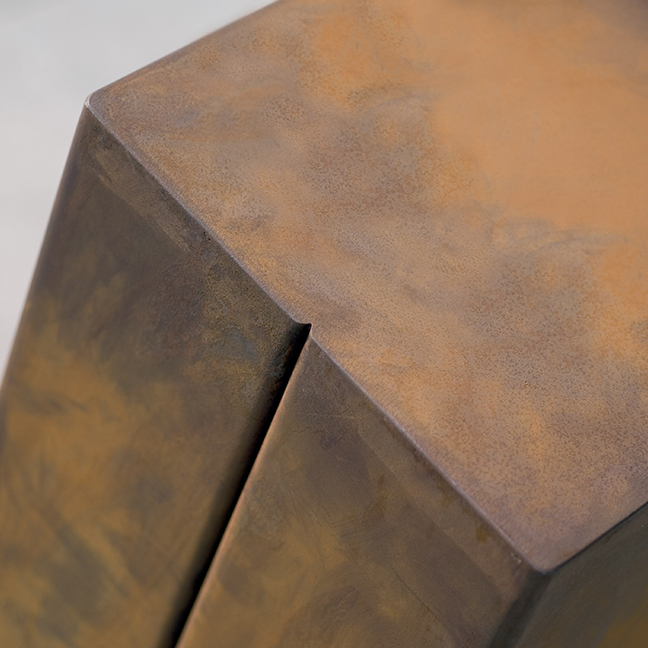 The whole structure is sandblasted and treated with a unique oxidisation cycle. 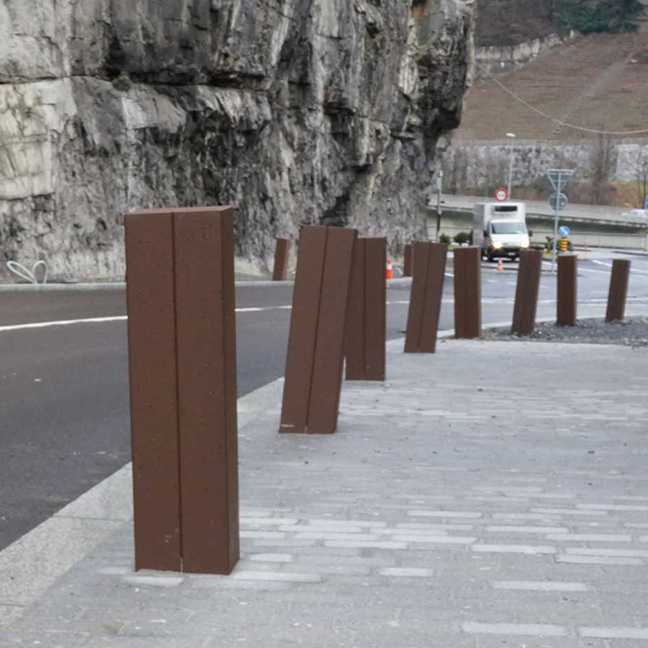 Ground fixing is with suitable steel ground fixing anchors (not included), or by placing the extended end of the bollard 250mm deep into concrete foundations. 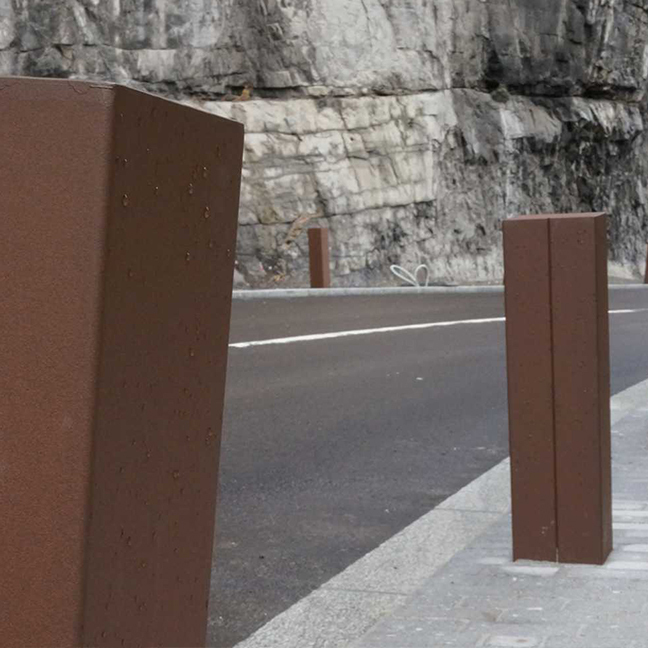 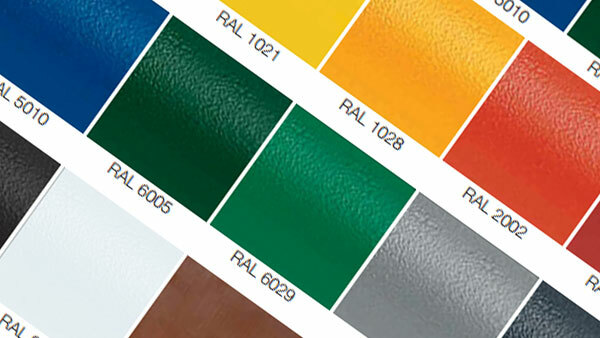 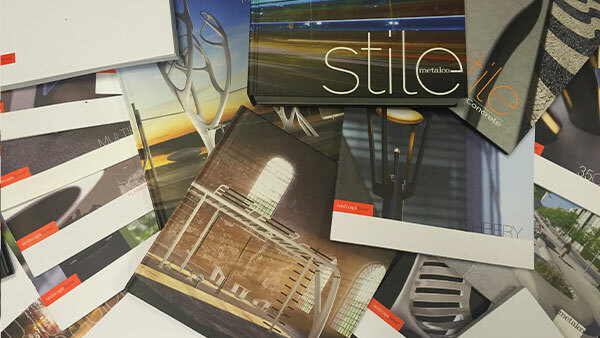 The Hesperia bollard is also available in 10mm thick mild steel, powder coated to any RAL colour.